�Key West, Florida is a popular tourist destination for many reasons. It is warm year round, and is surrounded by beautiful water from both the Atlantic and the Gulf of Mexico. Key West also has a long history and interesting architecture that is unique to the island. There is no other place in the world that is like Key West. It is “American” in all the best ways while still being laid back.The writer Ernest Hemingway spent part of his life in Key West and wrote A Farewell To Arms when he wasn’t fishing the Keys. 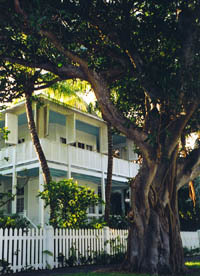 In the late 1940s, President Harry S. Truman began visiting Key West and established a second “Little WhiteHouse” where he spent 175 days of his Presidency. Most recently Key West has been made famous by the singer Jimmy Buffett. There are many others that have been influenced by this charming town at the end of the road, and it doesn’t take long on the island of Key West Florida to find out why. If you have an adventurous soul and know how to leave the world behind, or would like to learn , then Key West is for you. 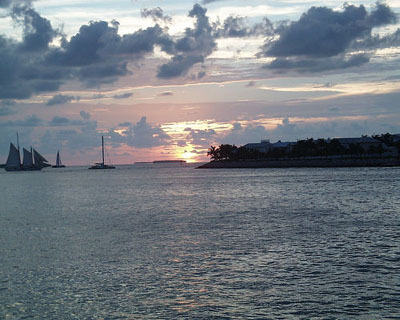 An average day in Key West may start by watching the sunrise on the Atlantic side of the island. After that you may find yourself walking the streets that are filled with colorful conch houses on your way to Pepe’s Cafe for breakfast. Later you might take a dolphin watch or kayak tour before eating lunch at Blue Heaven. Then you board a sailboat for an afternoon of snorkeling before returning to watch thesunset from Mallory Square. Each day in Key West is different and can be filled with adventures or spent lounging around the pool. It’s up to you. 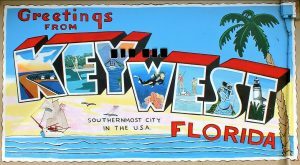 This website is dedicated to Key West and to all of the people that have come before us to make the island of Key West the special place that it is today. If you are looking for a unique vacation take a look through this site and see if Key West is for you.